Russia's Sports Minister Vitaly Mutko (L), President Vladimir Putin (C) and FIFA President Sepp Blatter (2nd R) listens to Moscow's Mayor Sergei Sobyanin at the Luzhniki Stadium, which is under construction, in Moscow on Oct. 28, 2014. The cost of the stadiums for Russia's 2018 football World Cup has climbed 30 to 40 percent as inflation and the devaluation of the ruble increase the price of construction, Sports Minister Vitaly Mutko told news agency R-Sport. “The rise in the dollar and euro exchange rate, the rise in inflation, have of course affected the cost of the stadiums. Plus we signed certain contracts in dollars, but to buy those dollars has become more expensive,” Mutko told R-Sport late last week. 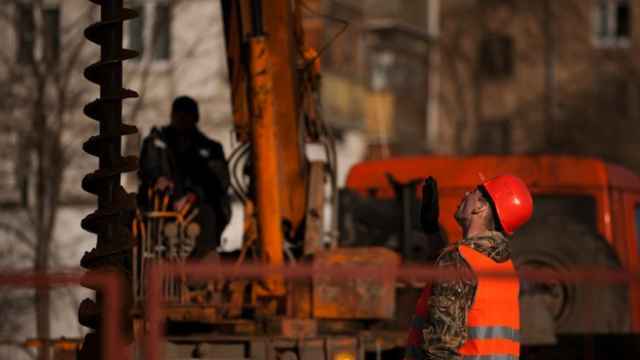 The cost of the first stadium designed for the World Cup, under construction in the southern city of Samara, could rise the most, from 13 billion rubles ($250 million) to 16 billion rubles ($310 million), he said. The Russian currency has fallen by one-third against the U.S. dollar since the start of last year as a plummeting oil price, Western sanctions over Ukraine and severe capital outflows weaken the economy. 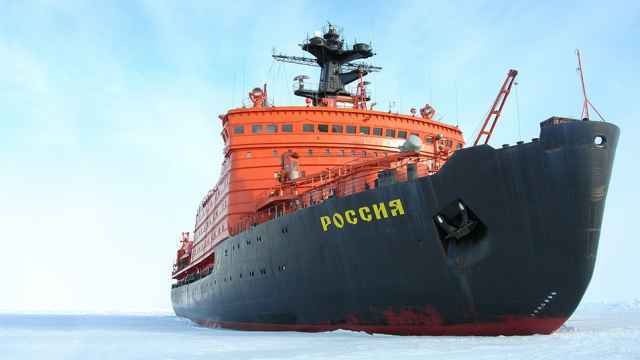 Spurred by the ruble's fall, inflation has risen to almost 17 percent. 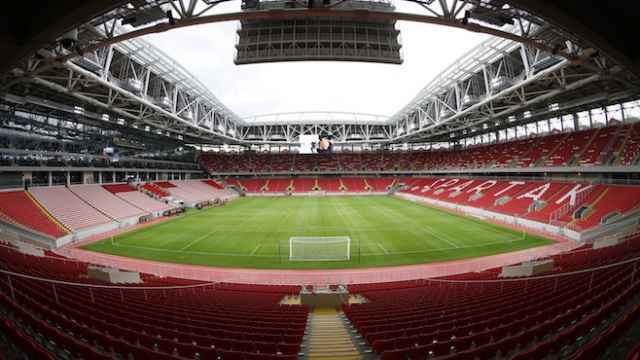 In an effort to restrain the surging cost of construction, the Russian government earlier this month ordered that five World Cup stadiums be built only from Russian materials when possible. In some regions, replacing foreign materials with cheaper domestic ones may help: The southern Volgograd region will save up to 500 million rubles (about $10 million) on its stadium through import substitution, the region's Deputy Governor Vasily Galushkin told R-Sport. Designs for other stadiums could be amended to keep costs down. 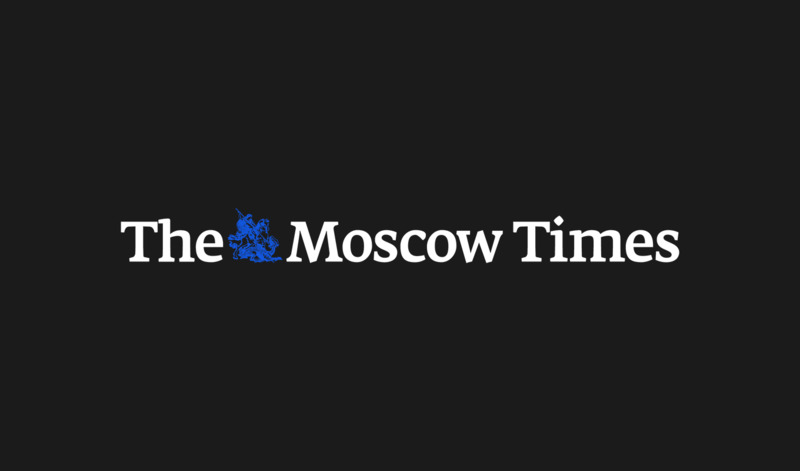 The seating capacity of Moscow's Luzhniki stadium, the venue for the football championship's final match, will be cut from 89,000 to 81,000 under an order signed by Prime Minister Dmitry Medvedev and published Friday on the government website. No reason for the change was cited in the order. 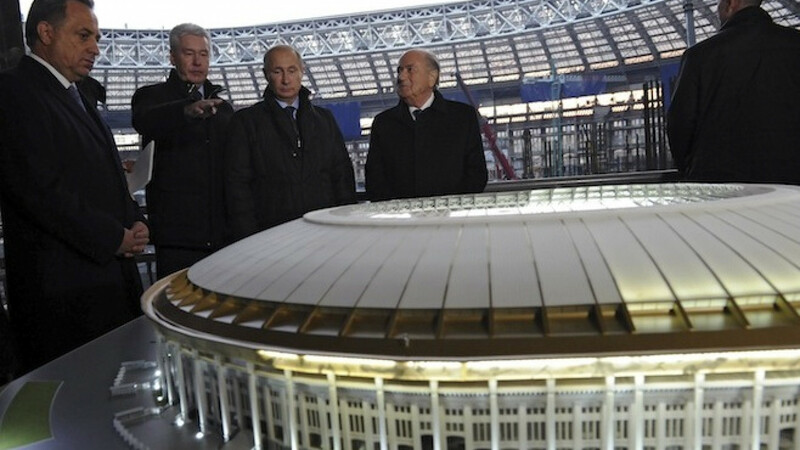 A total of 12 stadiums are to be built or reconstructed in Russia for the World Cup.